I was lucky on my trip to Vietnam, for I had escaped heavy storms, rain and floods on my journey from the south to North Vietnam. After spending a week in Hoi An, I headed to Phong Nha (Son Trach), the town in north-central Vietnam known for the Phong Nha Ke Bang National Park, home to the best caves of Vietnam. My luck streak ended here, as I could do nothing because the heavy downpour that continued all night and day! Once the weather cooled down, I explored the caves of Phong Nha on my bike. 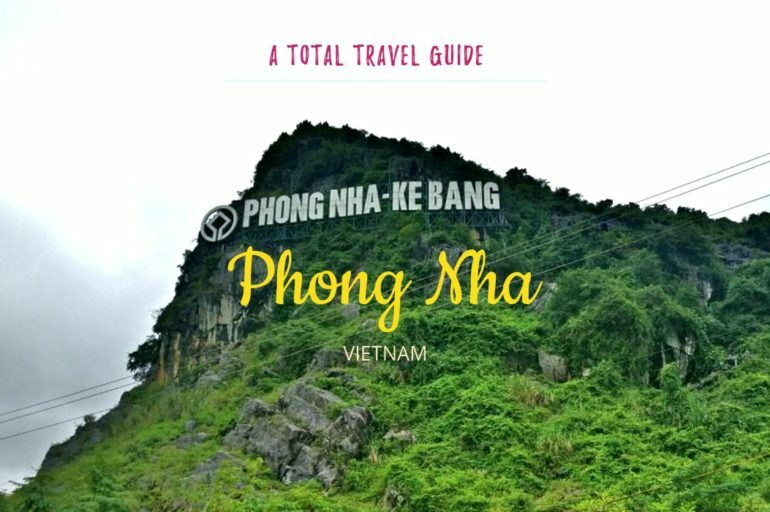 Even if you have just a day to spare, don’t skip Phong Nha! In this post, I have compiled a detailed post on the things to do in Phong Nha. Check it out! 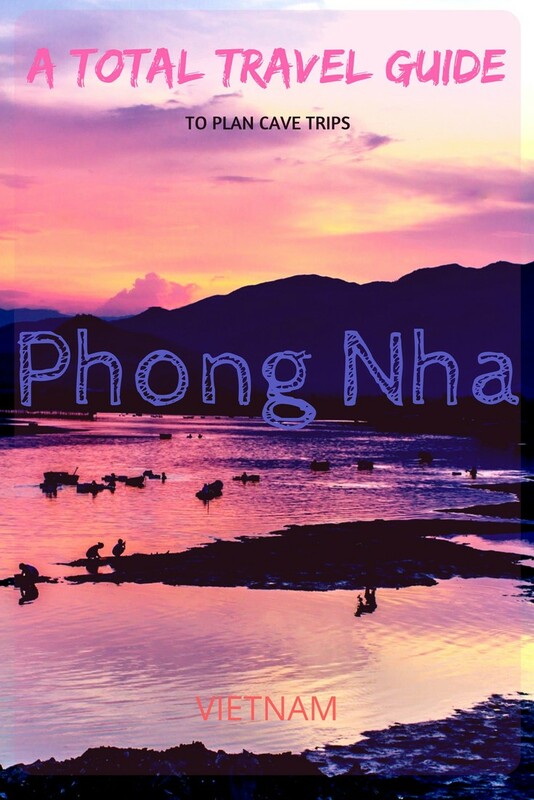 How to Get to Phong Nha? Where to Stay in Phong Nha? Where to Eat in Phong Nha? What to Wear in Phong Nha? Phong Nha Budget – How Much Would it Cost in Phong Nha? I was particularly interested in Paradise cave first, and hence as soon as the rains subsided, I rented a bike and drove to Paradise caves.The countryside albeit all the traffic and pollution looked lovely. While the rain had certainly painted the fields greener, they weren’t so kind on the roads. I took about an hour to reach Paradise Caves from my homestay. While the largest cave title is bagged by So Doong, Paradise caves is the longest cave in the world at 31km! Much of it is off the human access, with about 10km available for tourists. I walked all the way to the mouth of the cave, which is about 3km from the entrance. The entrance looks so humble and tiny that it is totally deceptive, because what followed after left me stunned! A world opened in front of me so big, with the vivid limestone formations dangling everywhere. I liked the way how it is lit artificially without using too many colors. Also, the boardwalk made of wood is placed carefully without interfering with the rock formations. The entry fees for For an additional 265,000 VND, you can explore the stalactite and stalagmite formation spectacle for an entire day by hiking further for about 7km where there is no light for the most part. You’ll need a guide to do so. Phong Nha is one of the top things to do in Phong Nha Ke national park and the one I had to skip because of the rains. The cave is divided into 2 sections, the first section is lit artificially, which can be covered by a bit of walking and a boat ride, while the 4.5km ahead of it (which has been explored so far) requires hiking with a guide. The Stalagmite formations are huge, but smaller in length compared to Paradise Cave. If you are there in perfect weather, the boat ride will take you through almost 3km by boat, after which you can walk for a while to see the formations. You can hop on the same boat after which you’ll come back to the park. Add 300,000 VND for an English speaking guide to accompany you on the boat. Due to the rise in the water levels, the entrance to Phong Nha cave was closed. In the morning, visitors were allowed until the first level, but when the rain continued on the next day as well, they shut the cave! Dark Cave is the ideal to explore for all those wanting some adventure within a limited time. It is located on the way to the Paradise Cave, and you have combo tours as well as individual tours to Dark Cave. First, you’ll either Kayak or take the zipline to reach the cave’s entrance. As the name suggests, the entire portion of the cave is in the dark embedded with limestone formations amidst which runs the river. Wearing the headlamps making your way through this maze is an adventure, where you’ll encounter mud whose level rises as you progress to the point of being totally soaked. It is the most fun part of Dark cave tour, and this mud is good for your skin. You might not enjoy this cave if you are claustrophobic or afraid of the dark though! You can either Kayak your way back or swim in the water once you are out of the cave. Only carry what is essential as you’ll most likely drop everything in the mud. Also, wear clothes that you are okay while being in the mud. Many wear a bikini and guys wear shorts but it is better to wear dark colored ones as the guides say that the mud can stain your clothes. The price for Dark Cave varies from season to season. The entrance fee ranges between 170,000 VND to 250,000 VND. Plus the price including Kayak and zip line is an additional 270,000 VND. You can swim to the mouth of the cave if you are a swimmer wanting to save some bucks! Hang En is the 3rd largest cave in the world, and it is a mid-way between all the popular caves and the biggest So Doong Cave in terms of the cost and the adventure. In this 2 days-1 night Hang En tour, you’ll do some easy to moderate hike along with some swimming and Kayaking to explore the huge limestone formations spread for miles. The price for this tour depends on the cave tour package you opt for and the tour is based on the weather of course. A 2-day tour costs 6,500,000 VND inclusive of food and camping costs, and you can also go for an extensive 4-day trek as well. Discovered only in 2012, Tu Lan is the latest addition to the caves in Phong Nha available to the tourists in Vietnam. It is also one of the cave tours where you’ll get camp in the caves, visit remote villages and also do some swimming. Like Hang En, Tu Lan also can be done just as a day tour or you can spend up to 4 days trekking through the wilderness. So Doong Cave is the darling of Vietnam, the queen of the caves in Phong Nha Ke Bang, if you may call it. You probably would have seen online some fantabulous pictures of caves while going through Vietnam. It is that cave certainly, for So Doong Cave is the world’s largest cave known to humans, and is one of the best things to do in Vietnam. How to plan your trip to So Doong Cave? But wait. As much spectacular and amazing So Doong Cave is, only a few people visit this cave every year. For starters, you can’t travel independently to So Doong. And owing to the number of people wanting to travel here, there is a limitation on the visitors that have also been imposed to protect this earth’s natural wonder. The second factor is the whopping entry fee of So Doong. The cost per person is 3000 USD, which makes many people back out. If you are ready to spend it, then you should book through Oxalis, which is the only travel company that organises the So Doong cave tour in Vietnam. 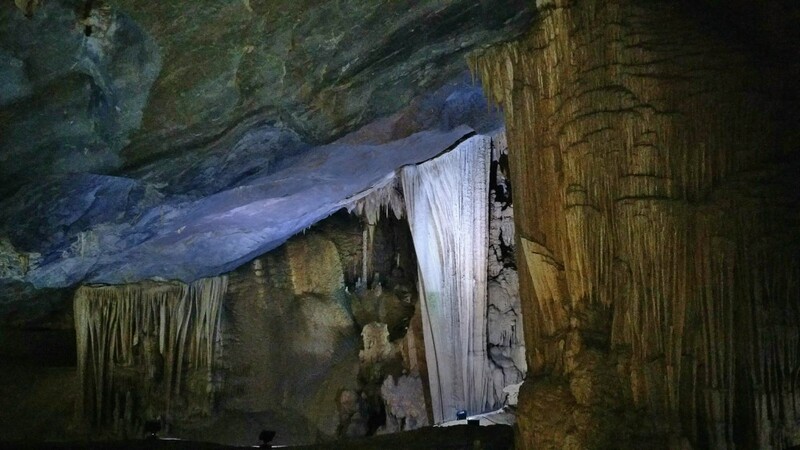 It takes about 4 days to complete the trip to So Doong cave. Make sure to get all your hiking gears with you for this cave. Nuoc Mooc Eco trail is the area in the Phong Nha Ke National Park, home to protected species of wildlife and flora. The entire trail is a loop around the park, and you can go on a hike on this trail with a guide to witness some exotic rare wildlife like Langurs and Black bears of Asia. You can buy the eco trail tour at 180,000 VND for total access or just the entry fee for 80,000 VND. 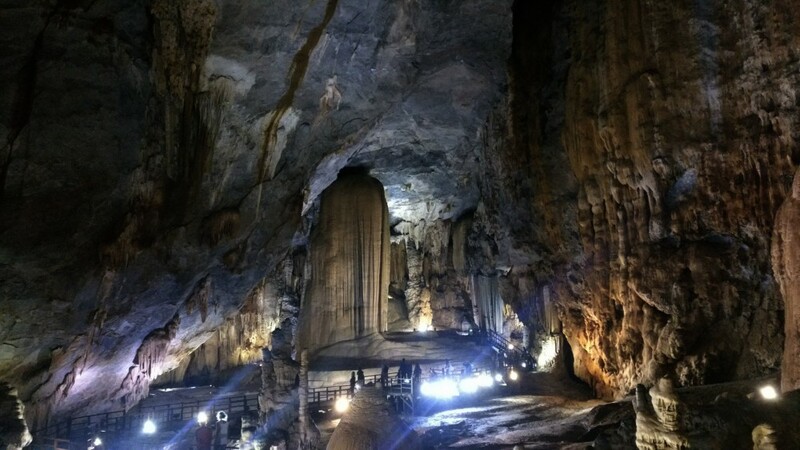 The other attraction is the botanical garden located about 12km from Phong Nha (Entry – 42,000 VND), and the Eight Ladies’ Cave which is a memorial dedicated to women that were killed hiding during the Vietnam war. 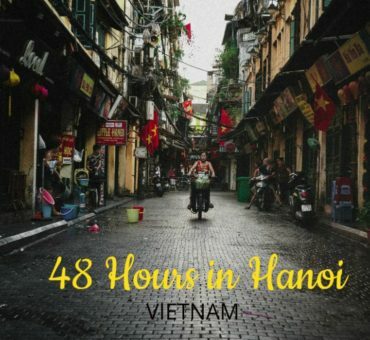 If you are traveling from North of Vietnam: Flights – If you are arriving from Hanoi, you can fly to Dong Hoi with Vietnam Airlines, the nearest airport. Phong Nha is over 40km from there and you can take a local bus, or book a car. Buses – You can travel from Hanoi to Phong Nha by bus as well, and plenty of them are available that can be booked through your hotel. If you are traveling from South of Vietnam: Flights – If you are arriving from South Vietnam, you can fly from Danang to Dong Hoi and then opt for a cab or a local bus to Phong Nha. You can also fly from Cam Ranh International Airport in Nha Trang to Dong Hoi. Buses – There are plenty of buses from Danang, Nha Trang, Hoi An, Dalat and Ho Chi Minh at regular intervals. As for trains, there are no direct trains to Phong Nha. The nearest railway station is in Dong Hoi. You can book any of the train tickets online in advance here. Cabs are expensive but you can get one from all the places, the nearest being Dong Hoi. Rent a Bike – Some rent a bike to get to Phong Nha, that costs approximately between 150,000 VND to 250,000 VND depending on the hours, the bike condition and the tour company. Be careful to check the condition of the bike before renting one, anywhere in Vietnam. Paying a few extra bucks will ensure that the quality is good, and saves you from a breakdown on the road! The most ancient and the only available place to stay in Phong Nha until a few years ago was Phong Nha Farmstay, which is still popular among couples, backpackers and travelers looking for a decent homestay amidst the lush paddy fields in the countryside. Among the budget travelers and backpackers, Easy Tiger Hostel is one of the favorite hostels in Phong Nha. They have been in Phong Nha for a long time and also organize all the cave tours, you can get good food and stay for a reasonable price. They arrange buses from Hue as well, which can convenient if you are arriving from the south. There are some options in Phong Nha for dining, and you’ll be able to get the Vietnamese cuisine, Italian and continental as well, but the prices are slightly higher compared to other towns. The most recommended is Bamboo cafe. I tried the one next to it though after my cave explorations and loved the food. I heard a lot about the place ‘The Pub With the Cold Beer’ which is out of the town and a good ride away, and I wanted to go there for the ride more than the beer. 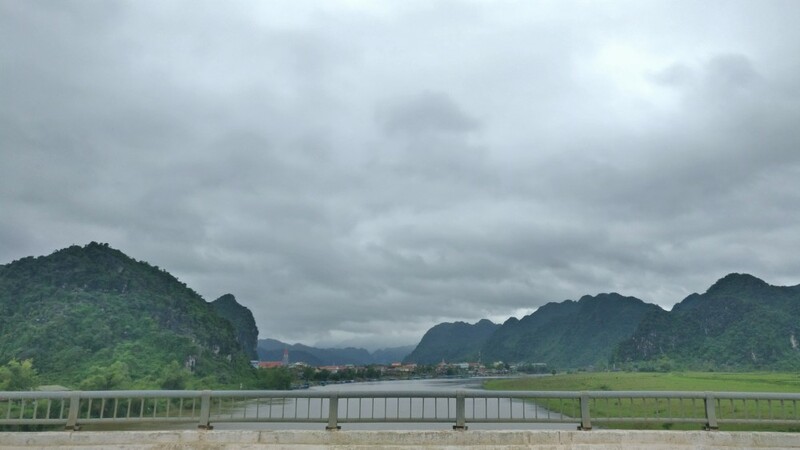 But after rains snatched away my days in Phong Nha, I had no option other than skipping it! For the most part, I ate in my homestay and loved the simple Vietnamese Pho and spring rolls. You can go on quick tours to one or two caves in a day or two or spend up to a week in Phong Nha, doing all the adventurous cave tours in details. Ideally, you can plan at least 3 days in Phong Nha, including a cave or 2, and other attractions. Unlike the other destinations of Vietnam, I found it tough to prepare Phong Nha itineraries for the reason that each cave is unique and offers a different experience. Plus the weather, the cost and your time need to be kept in mind, none of which can be predicted. So I am suggesting these assuming that the weather is ideal, and the budget isn’t too high. Check also the last part of this post to decide. Whether you are traveling from the south or in northern Vietnam, you have the option of doing cave tours in Phong Nha as a part of day trips. You can find plenty of travel agents and hotels selling group/private tours to different combinations of the caves in Phong Nha. From Hanoi, you can opt for just one or two caves if you are running out of time. It is best to book a day ahead, and the prices don’t differ much. If you just want to pick two caves, opt for the Paradise cave and Phong Nha cave. To not feel rushed, start the day early. If you just want to visit one out of these many caves of Phong Nha, the opinions differ from people to people. I asked around many including the locals about what would they pick if they were to pick one. The Paradise Cave slightly got more votes than Phong Nha Caves. The other way to decide is what type of experience you prefer. A little boat ride and walking means Phong Nha Caves, while the Paradise cave involves a 3km hike, and another 1 km walk, which can be turned into a 7km guided trek if you opt for a tour. Day 1: If you have 2 days, you can plan your trip to Paradise Caves and Phong Nha Caves on Day 1. If you are doing the full length, i.e. a 7km trek of Paradise cave, you’ll probably end up doing just one as it requires the whole day. Similarly, if you opt for covering 4.5km of Phong Nha cave you can only do that. Day 2: Head to the Dark caves in the morning on Day 2. The second half can be spent just exploring Phong Nha park on your bike or you can check the botanical garden or the Mooc eco trail if you are keen on seeing some more of nature of Vietnam. Day 1 & Day 2: The above plans for 2 days should do. Day 3: You can easily opt for another cave – either Tu Lan or Hang En. Note that I am suggesting these assuming that you don’t want to go on any expedition tours as they take at least 2 to 4 days. 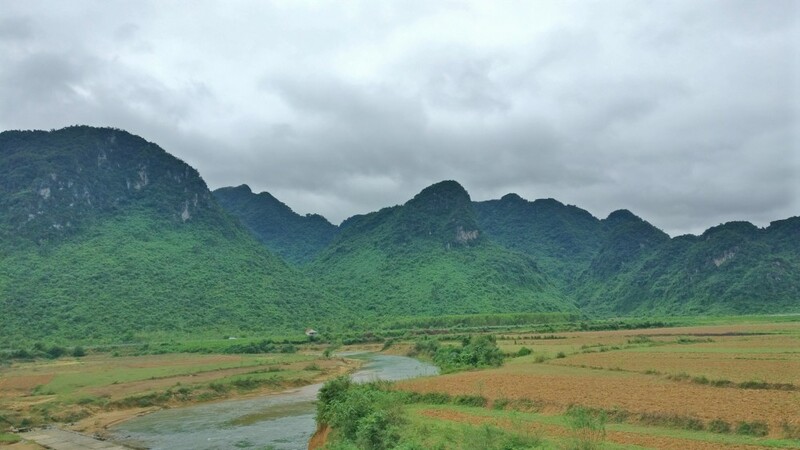 From mid-September to mid-November, Phong Nha receives rains like the other regions in northern Vietnam, and unlike other popular destinations in Vietnam, the weather in Phong Nha is the main thing that can decide the fate of your trip. As you read above, they cancel Phong Nha cave tours if there are floods and you might end up missing visiting the caves if you are there during the rains. December to April is a good time to visit Phong Nha as you can explore most of the caves covering all the activities as well. November to January are the coolest months. There are two things to keep in mind while packing for Phong Nha. 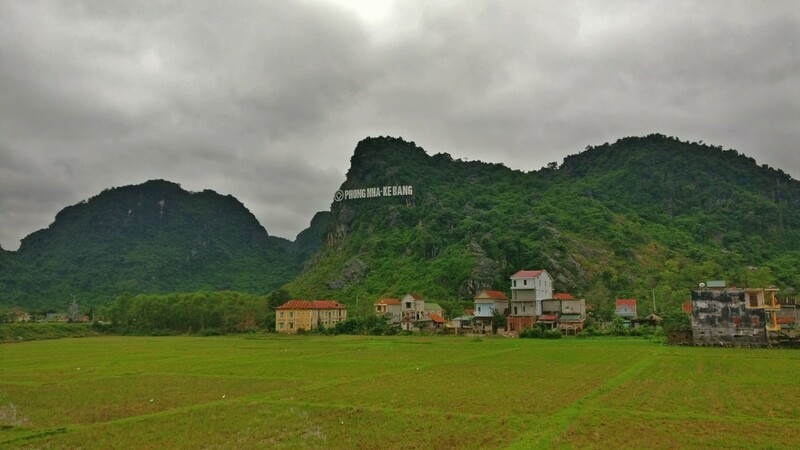 One is the weather and the other are the hikes/adventure that you want to do in Phong Nha. If you are there during the wet season, ensure you have an extra pair of socks, ponchos, umbrellas, cover for your bags and raincoats. You can buy some of these in Phong Nha itself, but they are obviously expensive. You might end up not using some of these as severe rains can force you to be indoors, but better to be safe than sorry in case you are out. Also, during the cool periods, the night gets too cold, colder than all the cities in the south or central Vietnam due to the mountains. So get everything in your backpack to keep yourself warm. The more layers, the better. And for dark caves, don’t forget to carry an extra pair if you need. The same goes for cave expeditions tours that lasts between 2 to 4 days. Although camping stuff would be taken care of, check the list with the tour groups to see what they offer. Compared to other top places to visit in Vietnam, Phong Nha is slightly expensive – Thanks to the entrance fees & the guides mainly, even if you would do on your own. You can certainly plan and save on two things though – accommodation and food. About the tours, the expenses will depend on how many caves you wish to visit and what do you think are the worthy ones. There might not be a lot of cheap things to do in Phong Nha, but the limited options shouldn’t stop you from going there! Check below to finalise your trip. Finally, Should You do Phong Nha Without Tours or Opt for Phong Nha Cave Tours? This is one of the dilemmas that most of the travelers have while traveling in Phong Nha. Sadly, there isn’t much information on how much of these caves could be visited on your own and what is the dependency level on cave tours. Phong Nha on a Budget: If the budget is your primary concern, but you have time, you can decide between Paradise caves and Phong Nha Caves. Both of these have standard prices, and unlike the others, you will not have to pay extra. Phong Nha cave is within the main area, and you can save on traveling to the cave if you pick this. Plus, these caves can be done on your own. To get to Paradise cave, all you have to do is rent a bike, load all the maps on your phone, get the gears, and start driving. If you don’t know to drive or if you aren’t confident, don’t worry. You can tag along with fellow travelers that you can find in your hotels, and it shouldn’t be difficult to find one. Just be careful of the roads while driving, although there is no traffic or high mountain areas. The roads can be tough to tackle during the rains. Experience: Some people travel to Phong Nha mainly for trek experience. If you are one of those, and budget isn’t your priority, you should probably go after the shark, So Doong Caves. The 5-to-6 days’ adventure includes good trekking, camping and the visit to the world’s largest cave. You can maybe skip the rest and just go ahead with these as I think that So Doong is a complete cave tour experience. Another cave that provides the adventure without digging your pocket too deep is the Dark Cave. You get to zip, kayak, get yourself immersed in mud, do some soft rappelling, enjoy the beautiful caves and finally swim your way out of the cave, which is simply adventures packed into one! Unlike So Doong, you just need half a day minimum for this, though you can easily spend a day if you want to slow it down. You can walk straight to the Dark Caves and buy your tickets directly, but you’ll need a guide. Plus the Dark Cave is more fun if you have a group as a lot of adventure is involved. 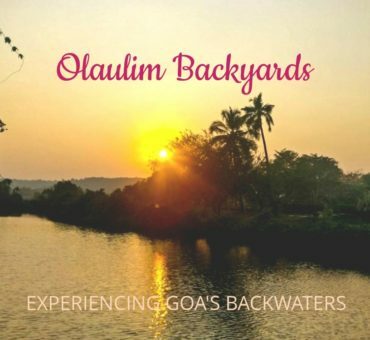 As for So Doong, there is no option but book a tour with Oxalis. 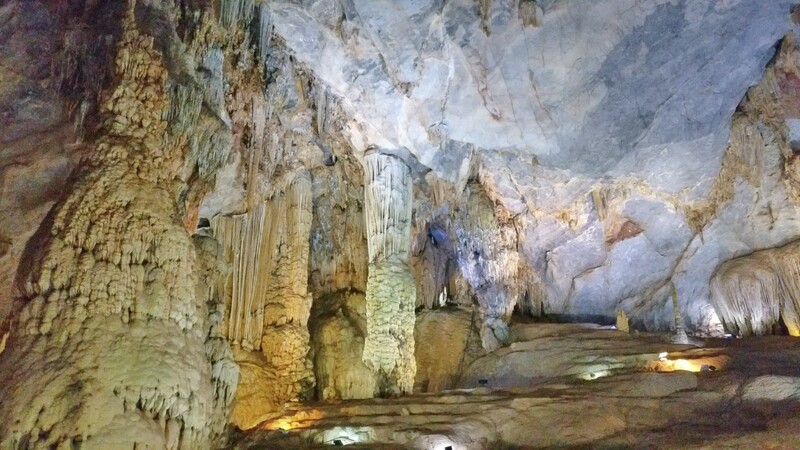 So I guess these details should help you decide whether to go for Phong Nha cave tours or not! Note on Booking Tours: You can do all the booking once you arrive in Phong Nha if you are just visiting the caves and not doing any adventure including trekking. There aren’t many travel booking companies around, and most of the hotels and agents work together to give you the same tour. Plus, you don’t want to lose money due to bad weather. But if you are booking a tour, make sure you have at least 2 to 3 days in the buffer, especially if you are trekking as the weather can be unreliable. Plus, to many destinations from here, there are 2 to 3 buses per day, so you might not always go as planned if your cave tour gets delayed/postponed. Money: I found the least number of ATM’s in Phong Nha in my Vietnam trip. Just one in the working condition to be precise. Plus, most of the restaurants that I ate and my homestay folks accepted just cash. So make sure to carry some before you arrive. Although there are travel agencies for exchange, the rate is poor. 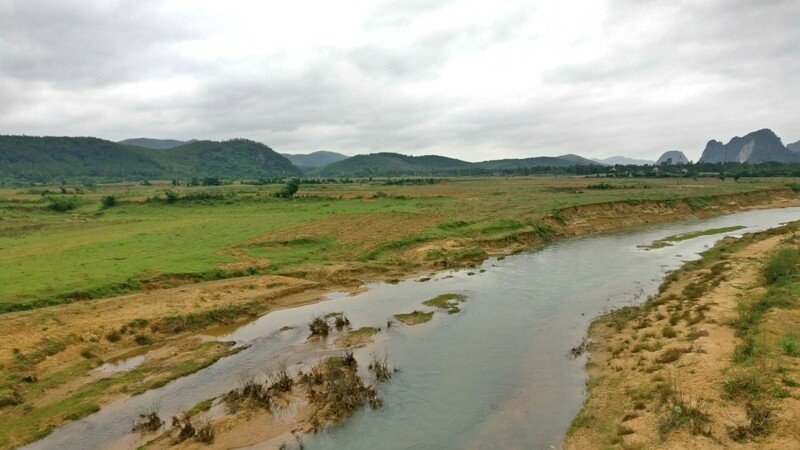 I thoroughly enjoyed my time in Phong Nha, which reduced to a short one thanks to the rains. I wish I had the weather to do all the caves that I wanted to visit! But this gives me a reason to plan my trip to Vietnam again, right? What was your experience in Phong Nha? Which is your favorite cave and why? Let me know in the comments below! Hai Van Pass Bike Ride – Why it should be on your List! Depending on your budget, you can find accommodations of all types in Phong Nha. The best place to stay in Phong Nha is somewhere near the centre, close to the ticket centre. Check the map below to find a hotel in Phong Nha now.